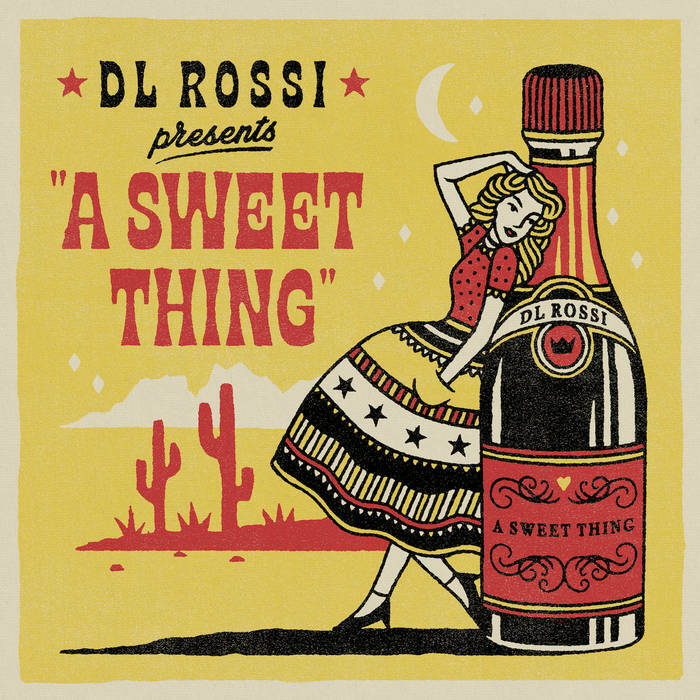 If a thousand-yard stare could be turned into music, it'd be DL Rossi's new album A Sweet Thing (out this Friday.) The 7-song record packs a mighty wallop, distilling Rossi's past few years of hellish setbacks: cancer, divorce, substance use, getting a handle on them and diverting energy back to music. I featured Rossi's music in winter of 2017 and it's exciting to see what he's capable of given the time and resources. Rossi's music feels like a hymn -- a prayer uplifted to a brighter future as much as it's a salve for his former self (and, of course, anyone else who is in the throes of heartbreak.) A Sweet Thing also feels like what would happen if you stuck Tom Petty in a room with Depeche Mode. Even at Rossi's most effusive -- such as the charmer "Good Woman," there's a solemnity just beneath the surface, a sense of foreboding that perhaps even this won't last. "Better," the album's second track, feels like the most complete formulation of what A Sweet Thing sets out to do: it's encouraging, compassionate, and a little fearful -- but in it we see Rossi's determination to pull himself out of his spiral. It should be an anthem for us all, and I'm hoping A Sweet Thing becomes the launchpad Rossi deserves. You'll be able to hear some of Rossi's songs on this week's episode of Adobe & Teardrops this Friday -- or listen now when you contribute to our Patreon!